A picturesque mountain that’s easily accessible with minimal effort? My sister, visiting from Canada, likes the outdoors but not the sweating part too much. 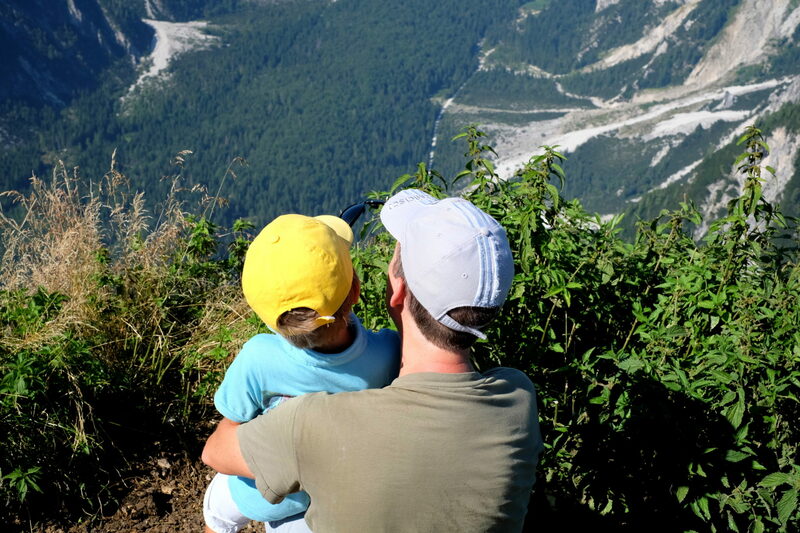 I, on the other hand, needed a little extra, an adventure of a sort to spice up the planned family hike, which I could perhaps even share with my older kiddo. 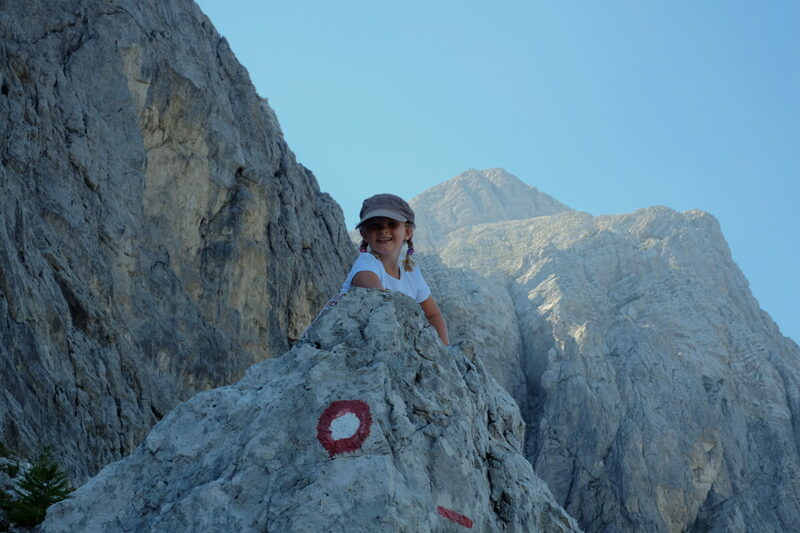 Slemenova špica in the Julian Alps seemed like the best choice and as it turned out – it was. 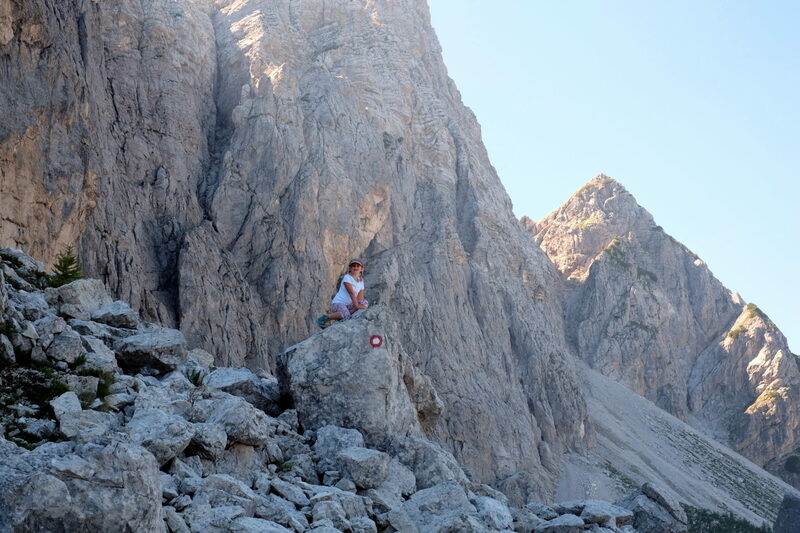 It’s an easy walk right to the top (if you take the classic trail starting on Vršič), the scenery literally takes your breath away, plus the trail divides into two right after the first slope. The one on the right is considered “normal” and is appropriate for everyone. When I say "everyone", I really mean everyone - even my couch potato sister and soon-to-be 70 years old parents enjoyed the hike if that tells you anything. 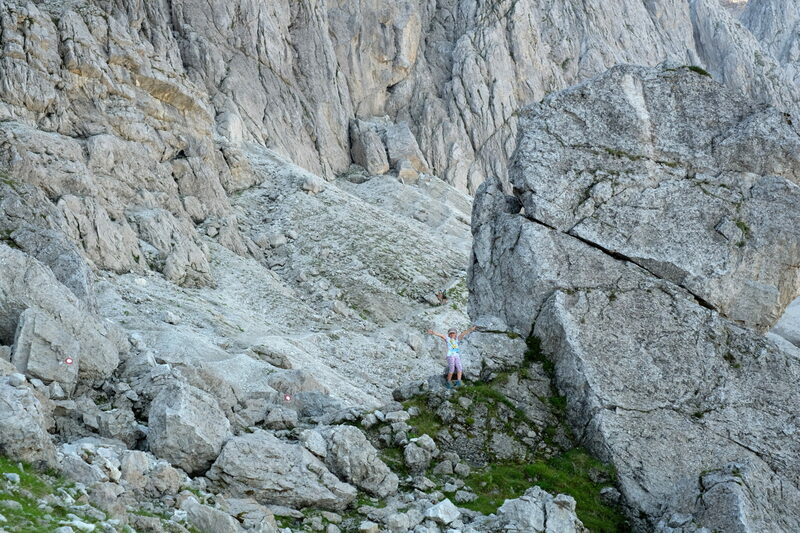 The one on the left, also called the Hanzova trail, crosses talus slopes below Mt. 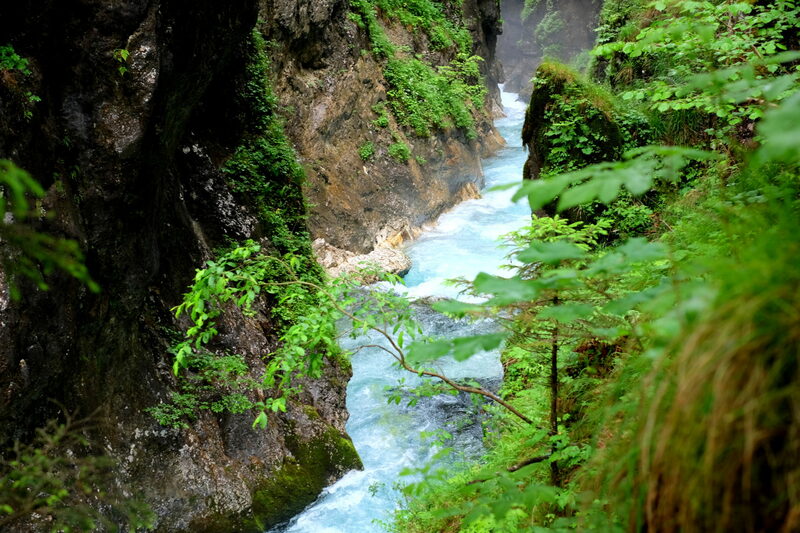 Mojstrovka and can be a bit slippery in parts, but, and this is a big but, opens up to impressive views and really evokes that feeling of a true adventure we crave for so much. And that's exactly what I needed. The mini me obviously followed without any hesitation. So it happened right there on a family hike with no more than a 1,000 ft elevation gain that I experienced a relaxing mini adventure which can easily match up with any day hikes I’ve had in my hiking history so far. But to have done it with my family? That’s priceless. 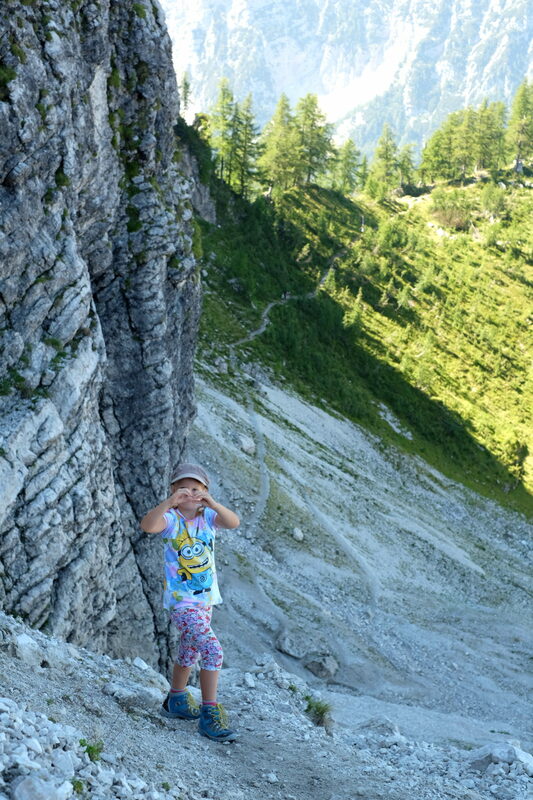 Sometimes I am tempted to think my daugther is this big, grown up kid. But really? The mountains really gave me a perspective of how small she actually is. Yep, she is still small :) Barely recognizable among the giants that is. 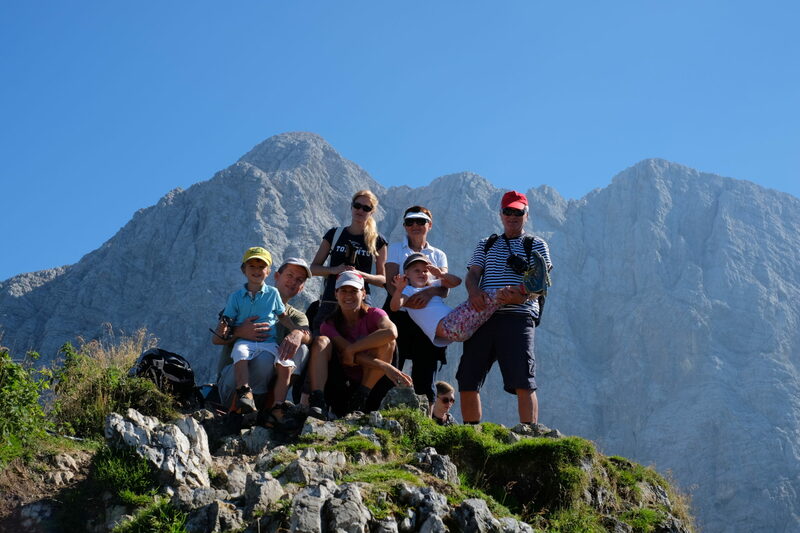 Our family at the top of Slemenova špica, 6,270 ft or 1,911 m. This pic will definitely look good in our calendar! The male team bonding in the mountains, "Where is Tamar?" Stay tuned for more outdoor adventures! Follow us on Facebook, Twitter, Instagram, Youtube and subscribe to the feed.